(AUSTIN, TEXAS – May 16, 2018; source: Juice Consulting) – The 12th Annual Austin Ice Cream Festival has announced that tickets for both the daytime event and After Dark at Austin’s Ice Cream Festival are now on sale. General admission tickets and early entry ZIP tickets for both events can be purchased at www.austinicecreamfestival.com. Daytime General Admission tickets are $15 with early entry ZiP tickets available for $25. After Dark General Admission tickets are $35 with ZiP tickets available for $50. Double Scoop options provide access to both events starting at $45. The Austin Ice Cream Festival also recently announced the return of title sponsor H-E-B to the June 23 event at the scenic Fiesta Gardens along Lady Bird Lake.Other sponsors for the event include: Pecos Pete’s Natural Tea & Soda, In-N-Out Burger, Leaf Filter, Soozy’s, We Are Blood and others. Media sponsors for this year include: The Austin Chronicle, KUT and KUTX, Do512 and Do512 Family, Austin Monthly and CultureMap. This year, the Austin Ice Cream Festival will feature two uniquely Austin events – a daytime family-focused festival with mounds of ice cream and frozen treats from local favorites and national brands, contests, fun activities, live entertainment by The Wild Now and Mélat, local food trucks and more. 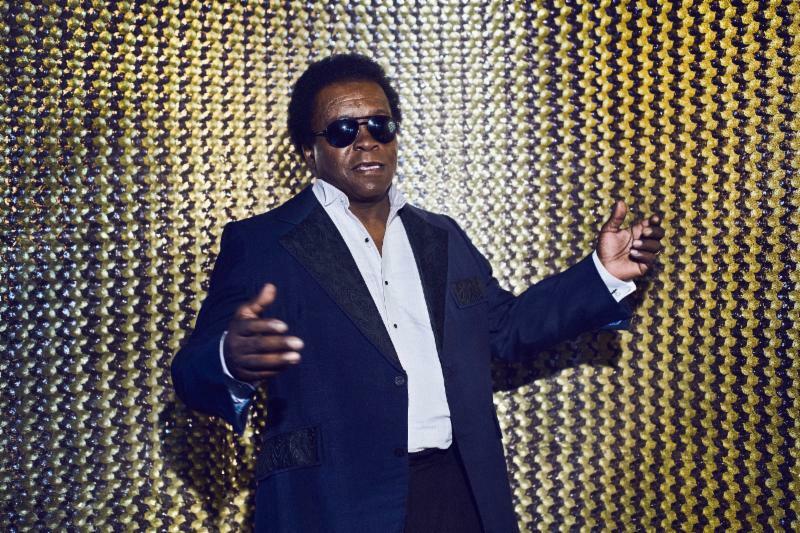 As the sun sets, Fiesta Gardens will transform to After Dark at Austin’s Ice Cream Festival, a trendy after-party with headlining live music from Lee Fields & the Expressions, Tameca Jones and DJ Mel, frozen treat vendors, boozy frozen drinks and Austin’s favorite food trucks. 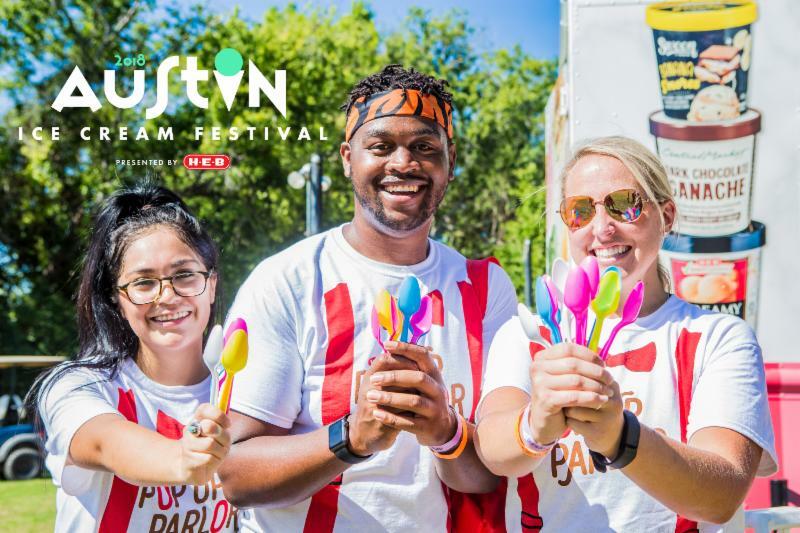 The Austin Ice Cream Festival also recently announced this year’s frozen treat samplers including: Amy’s Ice Creams, Bahama Freeze, Casey’s New Orleans Snowballs, GoodPop, Ice Scrapers, Moojo, Odd Pop, Shaved Ice Island, Snow Monster, Swoon by H-E-B and more to be announced. For a schedule of events, see below:Family-friendly Daytime Event, 10 a.m. – 3 p.m. The daytime event will feature free frozen treat sampling, ice cream eating contests and fun summer activities for all ages – including rock wall climbing, inflatables, dunk tank, yard games, water gun fights, live music entertainment and more! General Admission during the day runs 10 a.m. – 3 p.m. General Admission passes for the daytime event are $15 and include passbooks providing samples from up to 20 of Austin’s favorite local and national frozen treat brands. Early entry ZIP tickets are $25 and provide all GA benefits PLUS one hour early event admission at 9 a.m., access to the air-conditioned ZIP Fast Freeze Lounge with dedicated seating and comfort stations. Additional frozen treats and savory options will be available for purchase. Children 6 and under receive free admission.After Dark – Party in the Park, 6 – 10 p.m. Starting at 6 p.m. at Fiesta Gardens, After Dark at Austin’s Ice Cream Festivalwill feature headlining musicians, more frozen treats, boozy frozen cocktails, contests, activities and Austin’s famous food trucks. After Dark General Admission passes are $35 and include access to a headlining music lineup at the pavilion, samples from up to 20 frozen treat vendors, access to unique boozy frozen treat concoctions you won’t find anywhere else and food trucks. After Dark ZIP passes are $50 and include all GA benefits plus 30-minute-early event entry at 5:30 p.m., access to the air-conditioned ZIP Fast Freeze Lounge with dedicated seating, a private bar and comfort stations. The Austin Ice Cream Festival will crown the 2018 “Best Frozen Treat of Austin” among frozen treat companies participating in the event. Participating companies will submit a flavor into the contest to be judged by a panel of celebrity judges at the Austin Ice Cream Festival. Festival goers will put their taste buds to the test as they sample from each of the festival frozen treat vendors, then vote on their “Fan Favorite.” Winners of the “Fan Favorite” and “Celebrity Judged Category” will be named the “Best of ATX Frozen Treat” and receive a commemorative Austin Ice Cream Festival spoon trophy and eternal bragging rights. Attendees will go head to head fighting off brain freeze with a series of ice cream eating contests. There will be multiple divisions – the Half Gallon Challenge, Full Pint, Half-Pint for the kids and more. Information on these contests can be found in the coming weeks online at www.austinicecreamfestival.com. In 2007, our love of ice cream led us to create the very first Austin Ice Cream Festival. Summer is the perfect time to enjoy cold ice cream and a celebration for the Austin community – and so the Austin Ice Cream Festival was born. 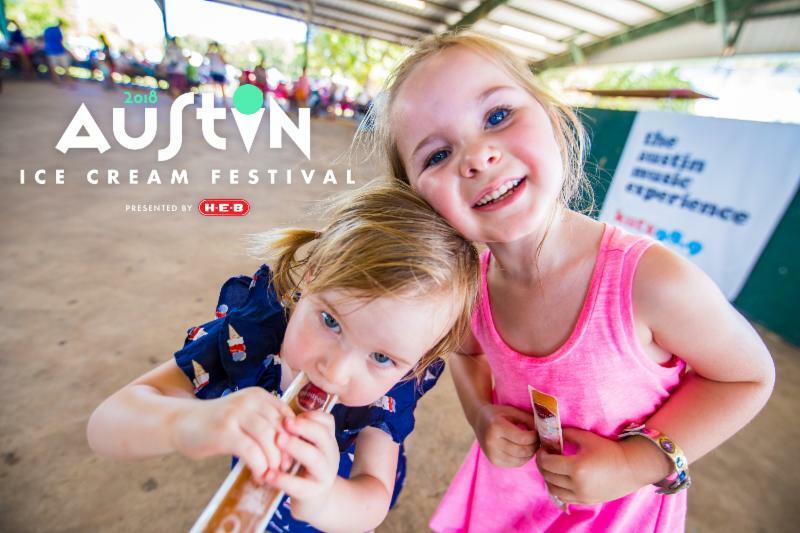 Every year the Austin Ice Cream Festival draws thousands of Austin families and friends to Fiesta Gardens to eat delicious food, play games, participate in contests, listen to live music, interact with performers and did we mention? … EAT TONS of ICE CREAM!! In 2010, Joey Chestnut, the World’s Eating Champion, won the ice cream eating contest by eating 1.25 gallons of ice cream in five minutes! For more information on the 2018 festival, please see: www.austinicecreamfestival.com.